Many of my home improvement projects have been on hold for a bit, there's been a lot going on elsewhere and some behind-the-scenes stuff happening that will be featured eventually. Today I'm here to talk a little about an incredible experience I was able to partake in this past month. 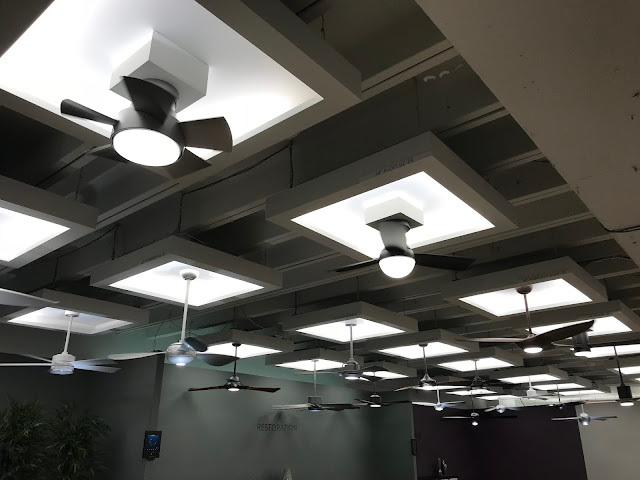 I traveled down to Dallas, Texas, where I attended Lightovation: The Dallas International Lighting Show. 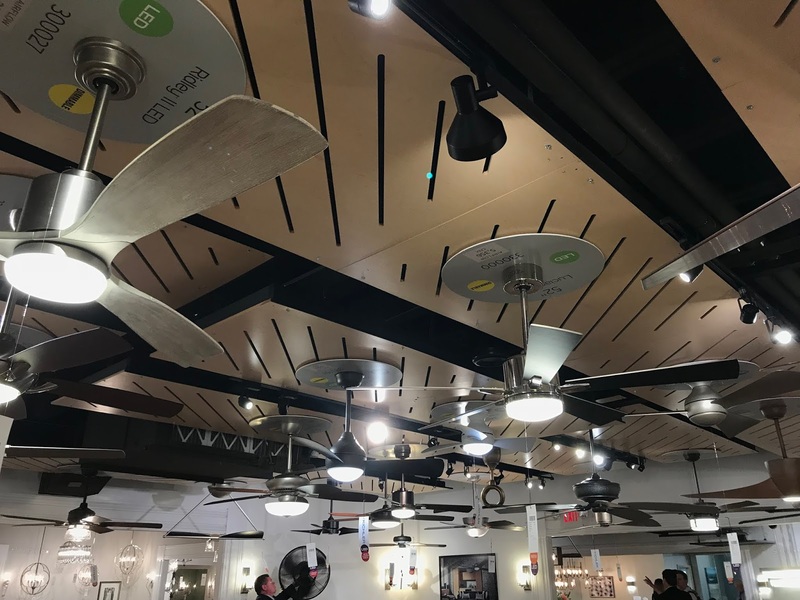 If you're one of my dedicated followers, you're probably already familiar with what Lightovation is and saw my extensive coverage of January's Market here on the blog. If you're unfamiliar, I'll give the quick rundown. Lightovation takes place just two weeks out of the year, once in late January and once in late June. 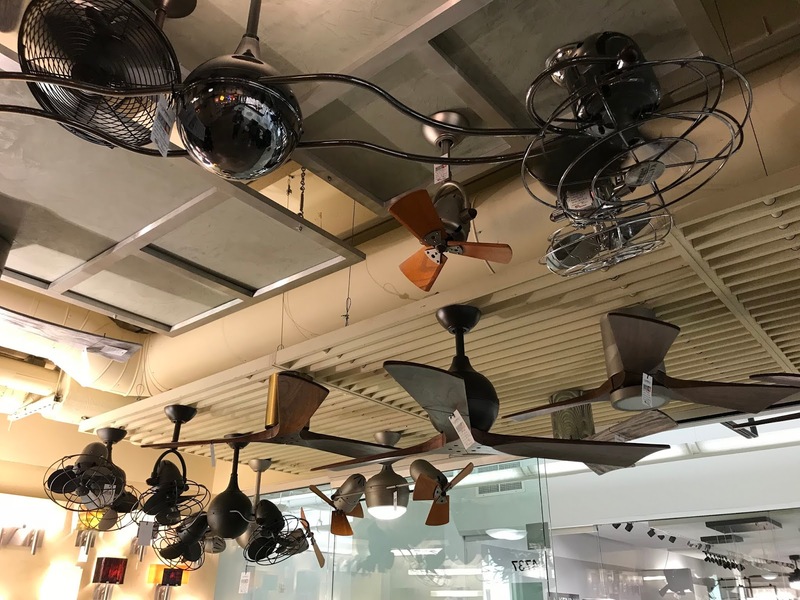 Buyers from showrooms all over North America travel to Dallas to see all the new products from major lighting and ceiling fan manufacturers who hold dedicated showrooms at Dallas Market Center. This is not any sort of required event to attend, but it is highly attended nonetheless because it's kind of a one-stop-shop to experience and place orders for new products from a huge variety of manufacturers all contained within a single event. This is a pretty buyer-exclusive event, not just anybody can walk in and browse around. Typically an industry or showroom connection would be required to even be a guest, as I was. June Market is always a little bit slower as there are fewer new introductions, but January is usually a full house as tons of new products are unveiled. As a first experience, I was very okay with the particularly slow June Market that I was able to attend. To lead further into this post, I have Tom Rafferty of Lumen Nation in North Canton, Ohio to thank for even making this possible. He offered to bring me down to assist in some of his business ventures, and while the original intent of the trip ended up changing, the experience was something I would not trade for anything and was certainly something that I was glad I did not pass up. 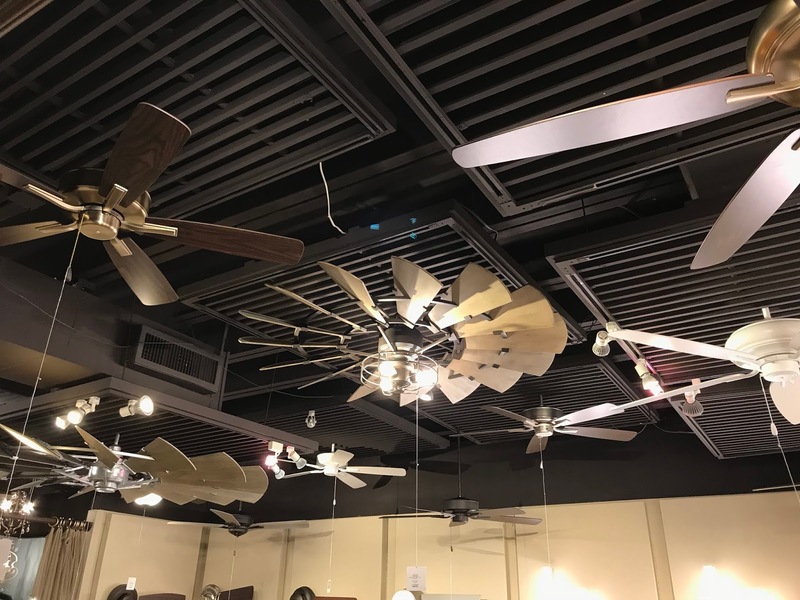 If you're anywhere within range of Tom's location, buy all your lights and fans from him! What a great guy, and so knowledgable about the industry. Since things kind of changed in the end, I didn't spend as much time with Tom as originally planned, but it was so interesting to hear his thoughts and insight from a different viewpoint than my own. Being that I'm not in sales, I hold different views and opinions on certain things than somebody in his position. It's very interesting to really delve into those differences and understand them. Speaking of time not spent with Tom, the change in plans allowed me to spend much time with my friend Denise Duncan of Lighting Etc. in North Richland Hills, Texas. She has been trying to get me down to Lightovation for literal years now, and when I finally got my travel plans locked in, I knew I would have to find time to meet up with her. I had no idea going in that I'd get to spend almost two pretty full days with the Lighting Etc. team, but again I gained so much insight and learned so much getting to experience Market with someone who has been doing it for years. Denise has been a real industry mentor to me over the past few years, and has been so supportive of everything I do practically since day one when we started interacting on Facebook. This support carried right over into Lightovation, as she introduced me and explained what I do through Vintage Fans & More to practically every person we talked with. She said it was her privilege to be able to brag about me, but really the privilege was all mine. People and manufacturers in the industry do not really need to care about who I am, which is why I am ever-grateful to the manufacturers and people I do get to consistently work with, but Denise put me in the forefront of the conversation. She stressed how important she thinks I am to the future of this industry, and that even though I'm not in direct sales, my contributions are for the betterment of both manufacturers and retailers. We both hold very different positions in what we do, but we found a lot of common ground and more than anything, we share a passion for this industry that transcends what either one of us is doing individually. 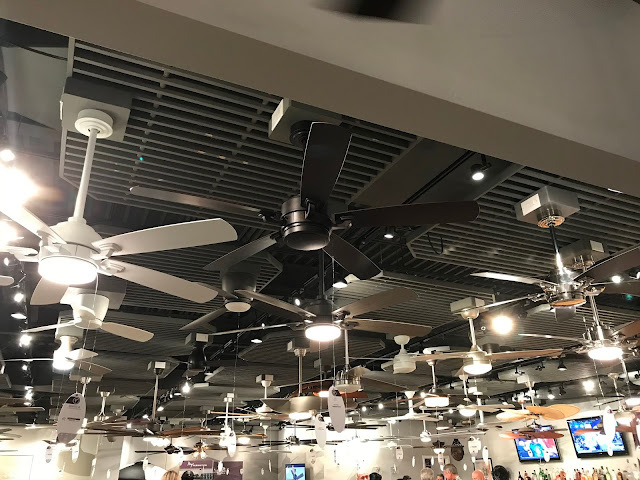 I've been interspersing images from the showrooms of manufacturers I'm affiliated with throughout this post. 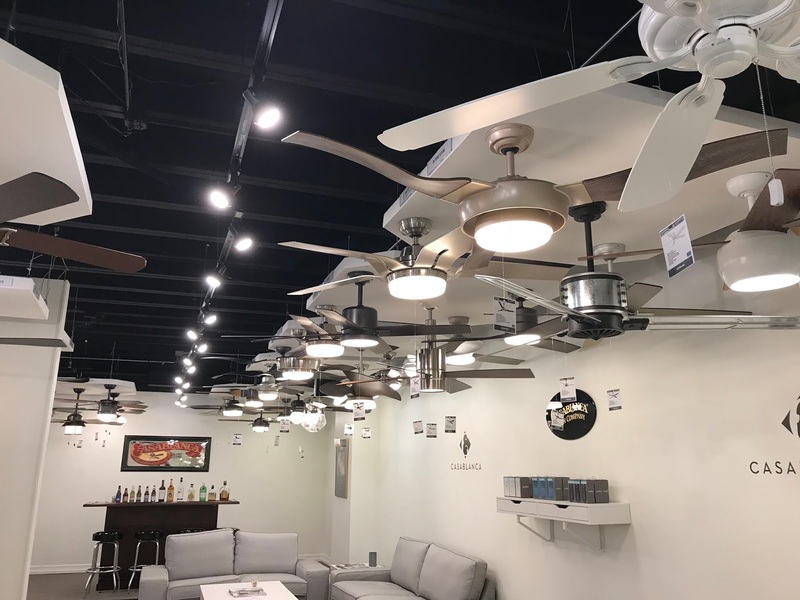 Experiencing the manufacturer showrooms at Lightovation is otherworldly. If you ever have opportunity to attend, you absolutely must do it. Being that this was my first attendance and absolute sensory overload, I am still processing through everything I was able to see. Unfortunately I wish I'd gotten more pictures and more video, there's no such thing as too much, but once you're in it's hard to think beyond experiencing it for yourself. Assuredly I think I'll need to go back someday to really take things in now that I know what it's like, and hopefully document more. Sore bodies and pure exhaustion from constant walking will set in by the last day or two of Market, but it's so worth it in order to see as much as humanly possible. It's incredible to walk in and see practically a brand's entire offering, along with catalogs and cool swag right at your fingertips, then realizing there are dozens more showrooms all offering another experience just down the hall. There is simply no other place to experience this industry in such depth as the showrooms at Dallas Market, almost every product you could ever wish to see is there. On top of getting to spend time with some of my favorite people on the retail side, I was able to meet with a multitude of people I've worked with in the past at numerous manufacturers, as well as forge new connections with manufacturers I've never had as much contact with before. Matthews Fan Company was one of the last fan showrooms I visited on the first day, but at the end of the following day I had an amazing little sit-down with Chuck Matthews and was able to really just talk fans for awhile. It carried over into Chuck having dinner with Tom and I, it was just a great specific experience that I will never forget. Chuck has been very supportive of my ventures for a few years, and I so appreciate everything he's done for me. Unfortunately Tom Frampton from Fanimation was not in attendance, but I was able to meet Nathan briefly and the entire team loaded me up with all kinds of fun Fanimation merch. At Modern Forms I couldn't even get in the door without Russ Klingel (THE ceiling fan guy of all ceiling fan guys) rushing over to introduce himself. It was an absolute honor to receive such a welcome at their showroom. I met with the sales manager I work with at Kichler and got a full tour of the showroom, and my contact at Emerson actually recognized me in the hall and made sure I was going to be through their showroom again. Denise introduced me to literally everybody at Quorum, and we also talked pretty in-depth with people at Craftmade, Maxim Lighting, and Access Lighting. 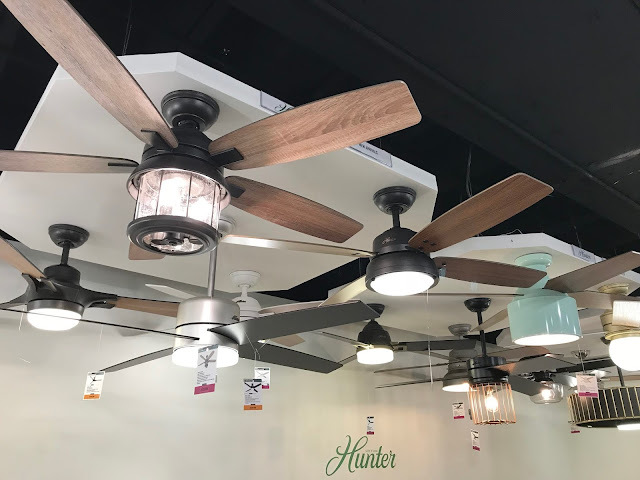 I stopped in at Hunter and Casablanca, and while I didn't have any contacts on-site there, everyone seemed very interested in what I do and were very kind. 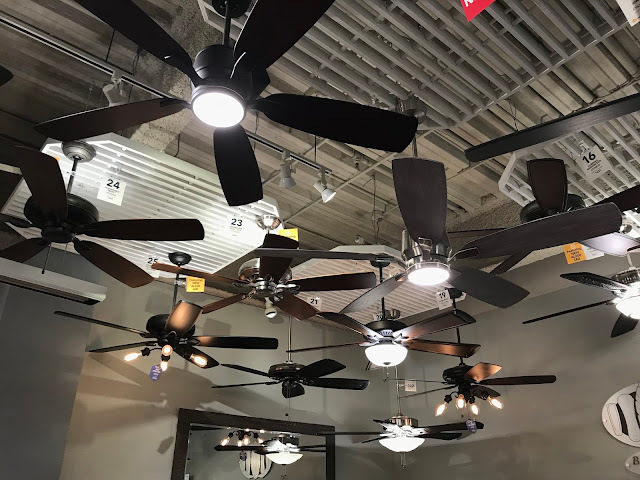 Outside of the manufacturers, I was able to meet people from a few other showrooms I follow closely, as well as a few manufacturer reps who follow what I do. I'm terrible with names and don't remember everybody new that I met, but am thankful to each and every one of them for giving me some of their valuable time. With my thank-you's expressed and my mind exhausted just recalling everything that happened, I will close out another post here. This was an experience I will value for all of eternity. There are people who actually work in this industry for years who don't get to experience the marvel that is Dallas Market, so I know how incredibly special of an opportunity this was for me. Thanks again to Tom for bringing me down, to Denise and everyone who showed me such kindness, and to all the manufacturers for welcoming me into their spaces. I truly had the time of my life at Lightovation.